This time of year is all about you. Black Friday, Cyber Monday and really every day between now and Christmas is about convincing you, the consumer, to buy certain products. Advertisers will use every tool in their tool box to persuade you to buy what they are selling. Honestly, most advertising today is blatant manipulation. They convince you that you need their product. You deserve their product. Their product makes you happier, cooler or sexier. You aren’t a good parent if you don’t give your kids their product. Advertisers tug at your heart strings, stroke your ego and guilt you into buying what they are selling. Consumerism has invaded every aspect of our lives in this country. It drives our economy. It permeates politics. It has even entered the world of journalism. Cable news networks are no longer interested in being objective. They want to attract more viewers so they can sell more advertising. To do so, they don’t tell us what we need to hear. They tell us what they think we want to hear. It’s business. It’s all about the bottom line. It’s about getting you, the consumer, to buy what they are selling. Sadly, consumerism has even infiltrated the church. When someone is looking for a new church nowadays, they call it “church shopping.” People are looking for churches where they feel comfortable. They are looking for churches which fit their lifestyles and schedules. They are looking for churches with uplifting music, programs for their kids and preaching which applies specifically to their lives. 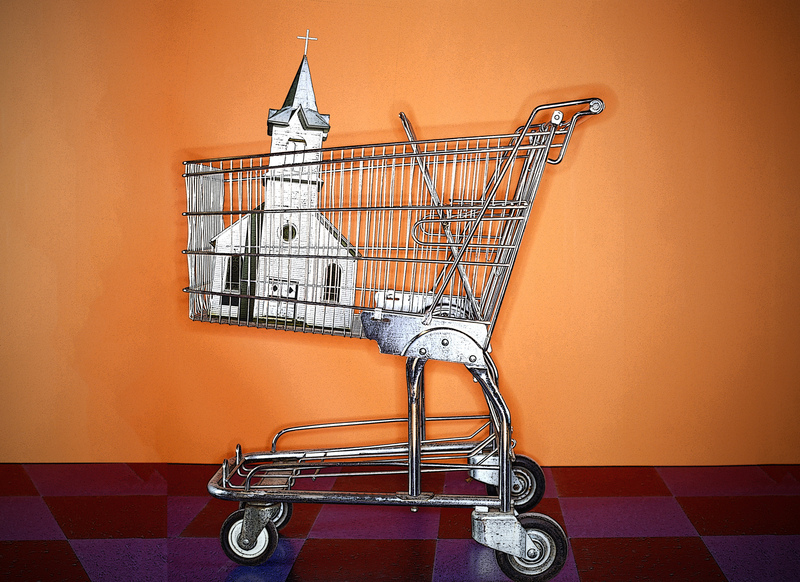 Church for many Americans has become consumer-driven. Advertisers tell me it’s all about me. Cable news networks tell me what I want to hear. Many think church should be the same. If your church isn’t giving you what you feel you need, what you feel you deserve, then you should shop around and find one that does. Many churches then feel the pressure to cater to the consumer. People want to be entertained. Therefore we need to have catchy songs. We need to have the latest technology. We need to have hip pastors who are funny and can keep people’s attention. People want to be inspired. They don’t want to be brought down by preachers talking about sin. They don’t want to hear about God’s anger or judgment. They don’t want religion. They want a relationship. So churches stop talking about sin. They talk about poor choices instead. They stop talking about God the Judge and Savior. They talk about God your buddy, your mentor and life coach. “The time will come,” he said, “when people will not put up with sound doctrine. Instead, to suit their own desires, they will gather around them a great number of teachers to say what their itching ears want to hear” (2 Timothy 4:3). Church is not a place you go to make you feel happy. Church is not a place you go to hear what you want to hear. Church is a place you go to hear what you need to hear – a place of brutal and loving honesty. Church is a place where we see our sins and our Savior Jesus who died for them. Don’t get sucked in by the consumerism of our society. Don’t pick a church because it’s selling what you want to buy. Find a church that tells you what you need to hear even when you don’t want to hear it. Because church isn’t about you, the consumer. It’s about the one and only true God and what he has done to save you.